Have you ever found yourself in a place where you know it is time to make a change? Maybe it is time to make some hard decisions about a relationship you are in. Maybe it is becoming clear that it is time to leave your job or maybe even your career? Whatever the decision is that you need to make? The ability to ignore that decision gets harder and harder. Maybe you watch TV more, you hang out on social media, hell maybe you indulge in 2 extra cocktails or beers to silence the noise. It does not work for long does it? The voice that is loud in your ear is your intuition, it is your wise mind. It is the voice that knows what needs to be done for your higher good even if it feels scary, or hard. This intuition when trusted can be the catalyst for more in your life than you ever imagined. But,how to be brave? How to follow something that comes to us in the very place that also houses our greatest doubts? Our inner critic, the shame and experiences that catalog our life so far. This jumbled mind, the wild west of all of the things that inspire us and terrifies us? It is not easy to trust is it? I am very familiar with that voice, that very voice has given me the courage to leave relationships that were not for my highest good. It showed me the way out of jobs that were unhealthy for me, and a career that had run its course. It has not always been easy because my Inner Critic has been just as loud for as many years. But, there is a way to see your way through. Keep reading.. Right now as I write this, I am in the middle of that war of Inner Critic and Wise Mind. It has been a loud and noisy battle that has been raging about the future of my business and client work. My wise mind is so loud and so emphatic! It has the passion of a teenager who knows FOR A FACT THAT THEY WILL DIE if they do not get to go to the beach party with the other kids. It is that certain, that loud and that passionate about the fact that I need to rebrand myself. It is emphatic that I should call myself a Business Therapist and that I should offer more than money mindset, and that I should be the emotional support person for entrepreneurs, coaches, healers, and business owners. It has quite a compelling argument. The other voice my Inner Critic is telling me, that without question if I decide to step into the spotlight as a Business Therapist that not only will my business die, but I could die as well. It is saying, “ This would be catastrophic! No one would want that! Who are you kidding!! WTF? Nicole? Are you listening?” Whew also pretty loud and scary. SO what to do? What do we do when we are in the middle of the pivot?How do we handle the battle for real-estate not only in our mind but in our future decisions? We look for signs. Yup. External signs.Nudges to act. Consistent confirmation from outside sources that add up to show that there is a defined road map forward in following our intuition and that we will indeed be OK. How do we get these signs? We get still, we ask and then we watch. Last weekend I was on my hill, the war raging in my head. I sat in the grass and I got still, and quiet and I surrendered. I said to the universe I surrender, send me a sign so that I have the courage to follow my wise mind. Then I waited. I waited some more. My Inner Critic had a tantrum but I held fast and then it happened. 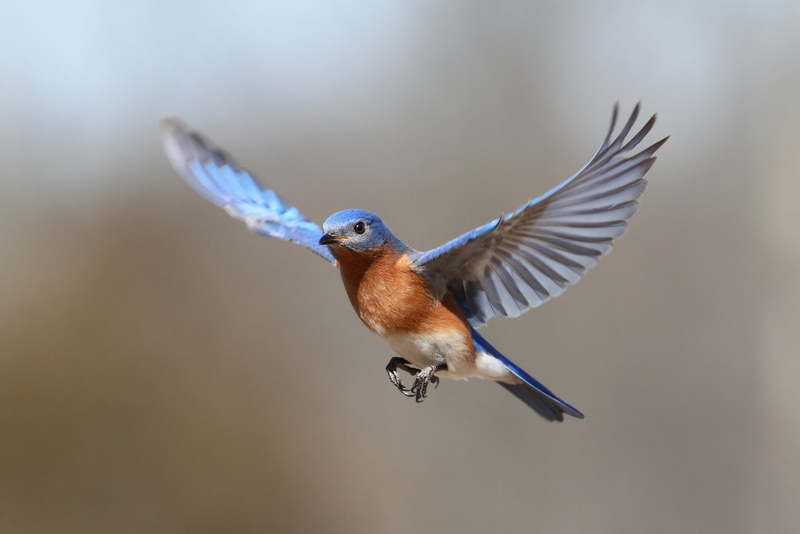 The most beautiful blue colored bird flew by me, I watched it fly up towards a tree and disappear. This got my attention, I asked myself, “ where did it go? It was right there? “ I kept looking at the tree but the only bird in the tree was a average looking brown bird. Then something amazing happened. That average brown bird took flight again and soared over me once more with the most gorgeous blue underbelly and wings I had ever seen. It hit me like a ton of bricks. This bird was average looking and uninteresting until it spread its wings and flew. When it soared through the air it was gorgeous! Purposeful! Almost magical! In that moment I knew I had my answer. Recognize that you have a wise mind and it has been giving you signs and nudges all along. Get still, be quiet even for a short time so it can reveal itself to you in full without static from your inner critic. Follow the answers that come to you with trust. I hope this has been of help to you. Spread your wings, show your authentic self. It will help you make those hard decisions with confidence and purpose. If you are in need of someone to help guide you through those next steps once you have made your decision to pivot in your business, or life. Reach out to me here. Lets chat to see how I can be of service to you and your wise mind. P.S. I would love for you to join us in my Facebook group Wealth Worth and Wisdom. Click here to ask to join. Free gift- Knowing your Money Mindset Type is crucial to success of your business. Learn more about yours here. I love that part of standing in your truth involves stopping and pausing long enough to be open to what’s possible. That by allowing that space, new ideas and opportunities can surface. I love that you asked for a sign and found it in what at first seemed an ordinary bird. Just like that ordinary bird, we, too, have beautiful underbellies if we only allow ourselves to see. Thank you for being a light and helping us all to shine! Thank you for your comment. Your feedback means so much. This is such a beautiful message! When the bird spread its wings and flew, I got chills. Your instructions are simple and clear enough for us to follow. Thank you for your leadership and action. We benefit from it already! Looking forward to what that Wise Mind has in store for us all!! Beautiful message. Thank you for sharing it. This is great advice. AND it is so beautifully and expressively written — a Divine message. Thank you for sharing it.